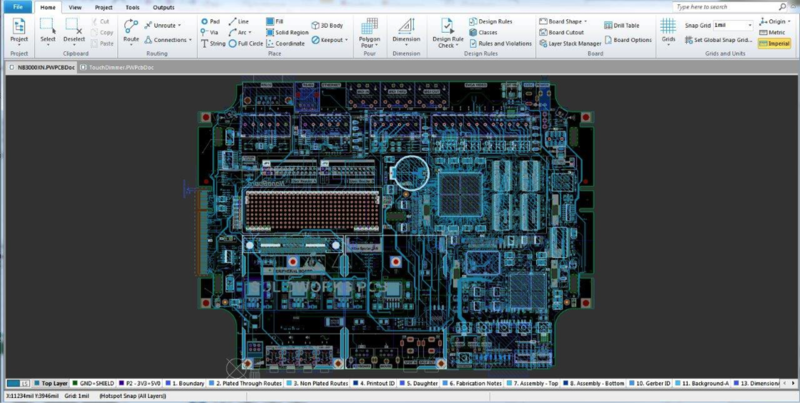 SOLIDWORKS PCB streamlines the design of the printed circuit board to effectively allow real-time interaction between mechanical and electrical engineering within the same environment. I experienced the headaches inherent to board design firsthand during my time designing avionics and military laptops. The workflow and the inherent issues in that process cost me and my company time and money. I imagine that I could go to just about any company designing PCBs, and I would hear a similar story. Despite efforts over the years, collaboration between MCAD and ECAD workflows has been difficult. Mechanical and electrical engineers still have to exchange design information in various incompatible file formats via email or other data-sharing methods. This makes for a laborious process in which much is lost in translation. For example, a mechanical engineer creates a 2D footprint of the board outline containing locations of mounting holes, connectors and keep-out areas. This information is then sent to the electrical engineer in the form of a PDF or DXF. The electrical engineer imports or recreates the outline inside the PCB design software to being the route and layout process in conjunction with the schematic. The completed design is then sent back to the mechanical engineer in various file formats (STEP, IDF, DXF, etc.) to ensure the board fits in the enclosure. There is little intelligence in these file formats and, inevitably, changes have to be made. Even a simple revision, such as adjusting the location of a component or even modifying the text on the silkscreen, could cost $1,500 or more. Before all is said and done, a typical circuit board design may undergo numerous costly and time-consuming revisions. With SOLIDWORKS PCB, these collaboration issues have finally been solved. For the first time, MCAD and ECAD software can communicate design changes bi-directionally. 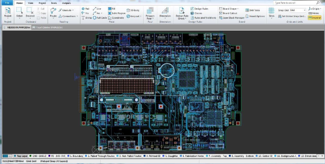 SOLIDWORKS PCB is powered by Altium's tested and trusted layout engine. 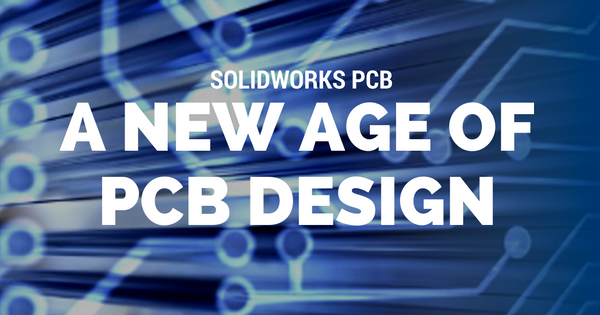 With all of your traditional PCB design tools at your fingertips and a seamless integration with SOLIDWORKS 3D CAD, designing printed circuit boards and managing changes has never been easier. Let's take a closer look at some of the key features of SOLIDWORKS PCB and what makes it unique. During the training class, I was introduced to a powerful schematic and layout tool. As a SOLIDWORKS user, the user interface is very important to me. The thing I first noticed was that the user interface didn't feel significantly different from what I'm used to in SOLIDWORKS. Whether I was routing differential pairs or editing the schematic, all of my most commonly-used commands were located on an easy-to-access ribbon bar (similar to SOLIDWORKS command manager). Wiring the schematic and laying out the board was fast and easy with intuitive mouse controls and keyboard shortcuts. 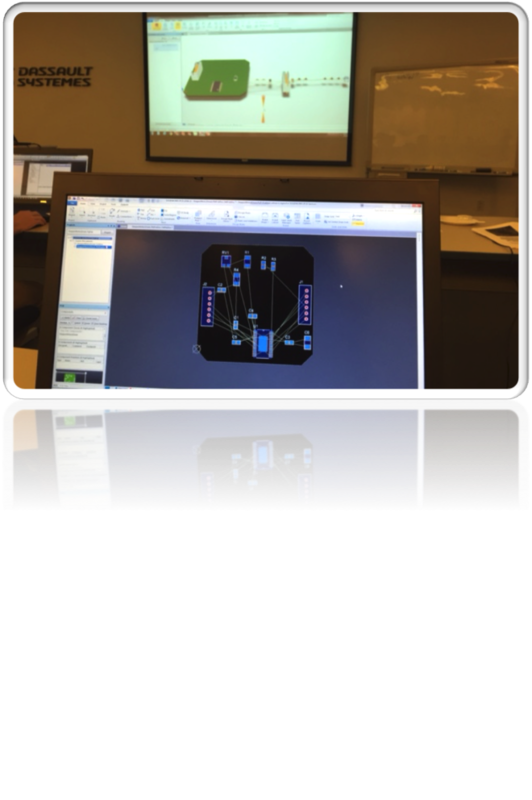 As the class progressed, I was pleased to learn that SOLIDWORKS PCB isn't just "Altium lite." Extensive schematic error checking and customizable design rules ensures that the project will compile properly the first time and that signal integrity will be maintained. SOLIDWORKS PCB is, in many ways, a disruptive technology. What convinced me of this is the ability to make bidirectional changes between the routed board within the PCB tool and the 3D mechanical model inside of SOLIDWORKS. What makes this possible? A collaborative server runs in the background sharing design information between both design tools. 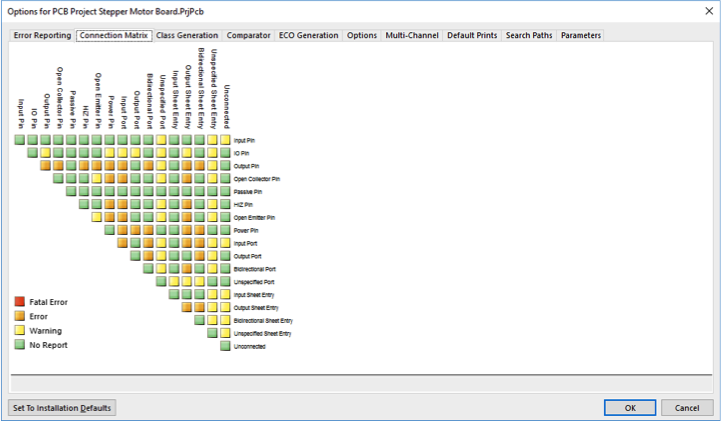 Changes inside of SOLIDWORKS are pushed or pulled from SOLIDWORKS PCB (and vice versa) through a managed ECO process using native SOLIDWORKS files. No more exporting in different formats or information being lost in translation, resulting in fewer errors and revisions. To take it a step further, a fully detailed model of the board containing traces and internal copper layers can be brought into SOLIDWORKS for an even more detailed and accurate thermal analysis. In the past, we had to perform hand calculations and estimate the fill factor of each copper layer to determine the composite thermal properties of the PWB. I can being my board outline in SOLIDWORKS, place connectors and mounting holes, and the PCB designer can import that model (or footprint) directly into the SOLIDWORKS PCB environment. What If I Already Own Altium Designer? You can purchase the Collaborator, which allows SOLIDWORKS and Altium Designer to communicate with each other. PCB and CAD data is linked and information is exchanged through the same managed ECO process that SOLIDWORKS PCB and SOLIDWORKS CAD use. 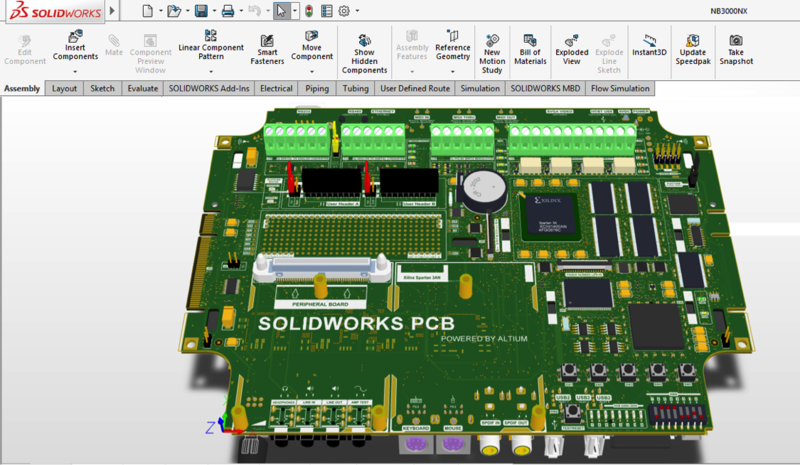 In short, this new SOLIDWORKS PCB software is a game changer, and it is the only thing like it in the world today. Get a free SOLIDWORKS PCB or PCB Connector trial today!